BHOPAL: Ruckus was witnessed in a public programme attended by chief minister Shivraj Singh Chouhan on Monday. Youths chanting slogans against caste-based reservations, began shouting and disrupted the proceedings. Though organisers tried to stop them, the youths raised placards and kept shouting. As a result, chief minister Shivraj Singh Chouhan had to stop his speech, midway. One of the youths was carrying a placard that was against caste-based quotas. Another demand was that the employees from the reserved category shouldn't get benefited in promotions. 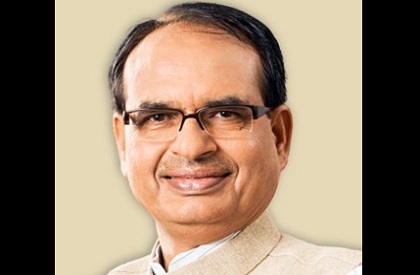 Of late, there has been a strong campaign against Shivraj Singh Chouhan over his stand. Chouhan had said, 'koi maai ka laal aarakshan nahi hataa sakta'. The SAPAAKS, a group of government employees belonging to unreserved categories, has been campaigning against Chouhan, and it was this statement that is being repeatedly mentioned at its events. The SAPAAKS has been holding events across the state, opposing caste-based reservations. However, it was a rare disruption of CM's speech during the Brahmin Samaj convention in Bhopal on Monday evening.